Sailing is an exciting, safe, and relatively affordable sport that welcomes people of all ages and demographics. Sailing clubs can be found all over the country on the coasts, inland lakes, and rivers. Many people find themselves discouraged because they think they need to buy a sailboat in order to sail but many clubs provide boats whose owners are looking for a crew. With so many types of sailing to choose from, sailing is a hobby that can flourish over an entire lifetime. Most sailors say that sailing is a lifestyle, not just a sport. Once you get out on the water and experience it on your own you may find yourself saying the same thing! The benefits of sailing are plenty, get ready to dive into the fascinating world of sailing. Let’s begin with the different types of sailing. Social Sailing- If you want to sail for pure leisure activity, social sailing is the sweet spot for you as it is non-competitive. Cruising- Cruising is similar to social sailing but has a destination to reach. Racing- Like racing a car, when you race a sailboat you will be going around a course demonstrating speed, skill, and knowledge of the sport. This is where the competition begins. Ocean Racing- Ocean racing is exactly what it sounds like, racing a sailboat off-shore. 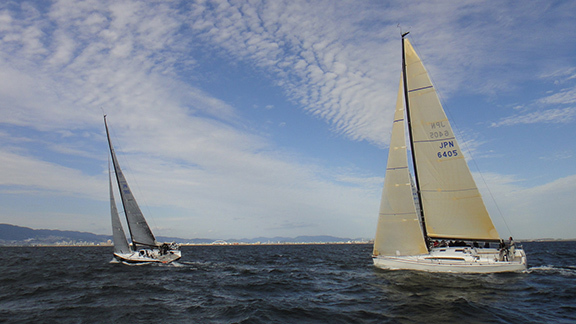 There are many exciting ocean races taking place all over the world and range in difficulty from beginner to extremist. Live on your boat and travel the world- Some people love sailing so much they get themselves a sailboat with a cab underneath that they can live in, and sail the world. A unique way of enjoying the outdoors- There’s something magical about being able to get out into the ocean or other large bodies of water which remain unexplored by most people throughout their lifetime. Sailing takes you somewhere your feet can’t and is a special way to enjoy the outdoors by yourself or with multiple people. You learn a lot of new things- Sailing requires you to step into an extremely active role that you can miss out on in other boating sports. You will learn all about the boat and how to sail of course, but also about weather patterns, ocean life, and how your boat functions in the environment. Great exercise- Sailing offers great exercise for all involved. Be prepared to move your body around the boat pulling ropes and directing sails. At the same time, it’s incredibly relaxing- There is nothing like cruising on a sailboat and having a lunch on the boat and catching a stunning view of the sunset. Onboard entertaining is a whole new kind of fun and your guests will love it! It can be easy to learn when you choose the right course- When you invest in a beginners course that allows you to learn on a small boat, the process will be fun, enjoyable, and easy to learn. Anyone can do it- This means it can be a solo activity or you can get your entire family involved! Children can easily learn to sail and the elderly can relax and enjoy the ride. When you decide you want to learn sailing you will want to look into sailing clubs or marinas that offer lessons in your surrounding area. Chances are that if you are near a decent size body of water and have decent weather conditions- you will be able to find a place that offers a course for beginners. You can even familiarize yourself with basic sailing terminology and learn basic knots leading up to the course if you like to be more prepared (or are just that excited). As you become more familiar with sailing you may decide you want to take it to the next level and either compete or take more advanced courses and the place that you took your beginner’s course from should be able to point you in the right direction. Sailing offers life-changing benefits to those who get to know the sport. It is affordable and shows you how to enjoy the outdoors in an entirely new way. It will expand your knowledge base in more areas than you realize- both mentally and physically and is a hobby that can bring happiness to you and those around you. Good luck and enjoy!